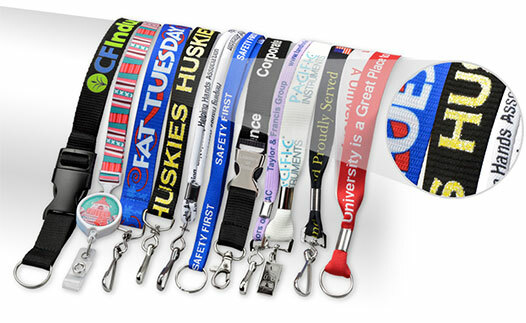 Design professional lanyards within minutes! Our new lanyard designer allows you to design your own custom lanyard based on your unique requirements. Choose your lanyard material, width, color and attachment. Add your logo and/or text and you will get a full preview of what your lanyards will look like. Once you submit your design, an Idesco representative will contact you to confirm your choices and send you a free quote. It's never been easier to get custom lanyards! The go-to imprinting method. You can silk screen on every material except Woven. Allows up to a 3-color imprint. Note: a proof with your text and/or logo will be emailed to you for approval.